Professor Jeff Brand is an internationally recognised and nationally awarded career academic in the discipline of communication and media with expertise in quantitative research methodology, an intellectual interest in policy for the digital economy, and leadership experience in tertiary operations and governance. In 2013 he was awarded a national Excellence in Teaching Citation from the Australian Office of Learning and Teaching for using Minecraft as a Virtual Learning Environment. He founded Bachelors of Multimedia and Computer Games at Bond University in 2007 and the Bachelor of Interactive Media and Design in 2013. 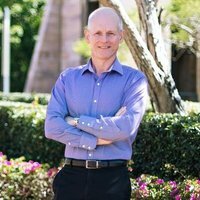 He has served as Director of Capacity Building for the Collaborative Research Network at Bond, Chair of the Bond University Higher Degree Research Committee, Head of School, Associate Dean, and Chair of the Human Research Ethics Committee. He currently serves as Associate Dean for Engagement and International in the Faculty of Society and Design and Convenor of the research mentorship program. Professor Brand is the lead author of the Interactive Australia and Interactive New Zealand series of national computer games audience studies supported by the Interactive Games and Entertainment Association, author (with Prof. Mark Pearson) of Sources of News and Current Affairs published by the Australian Broadcasting Authority and co-author with inter-institutional colleagues in SBS research Living Diversity and Connecting Diversity.